OLD TRAFFORD, Sporting Alert – Jose Mourinho makes seven changes to his Manchester United starting lineup in today’s EFL Cup semi-final against Hull City at Old Trafford. David de Gea, Paul Pogba, Antonio Valencia, Phil Jones, Matteo Darmian, Henrikh Mkhitaryan and Ander Herrera all returned to the starting lineup. Sergio Romero, Ashley Young, Marcos Rojo, Daley Blind, Michael Carrick, Marouane Fellaini and Anthony Martial were the players making way from the lineup that started in the FA Cup win against Reading on Saturday. Jones will partner Chris Smalling in the heart of the defense, with Valencia starting at right-back and Darmian on the left. Marcos Rojo, who picked up an injury during Saturday’s win over Reading was ruled out, while striker Zlatan Ibrahimovic, who was expected to start the game, misses out through illness the club confirmed. 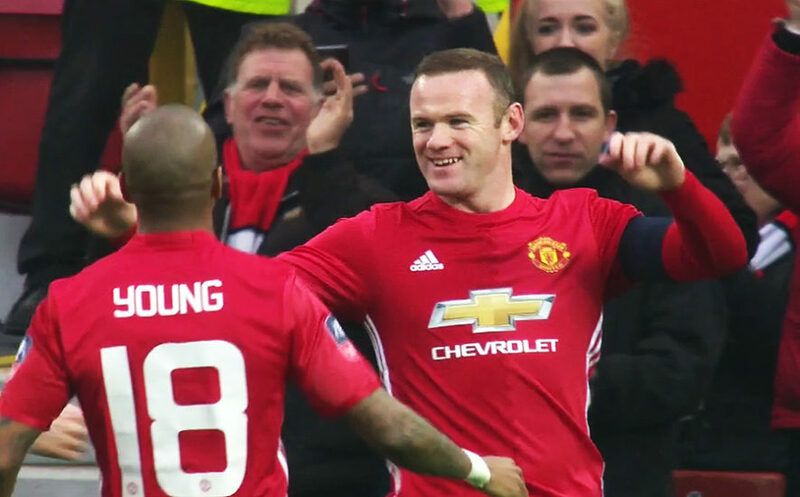 Wayne Rooney, who is only one goal away from breaking Manchester United all-time goalscoring record, also keeps his place from the weekend. Rooney is on 249 goals and gets a chance to score his record 250th for the Old Trafford outfits. Marcus Rashford, who bagged a brace in the win over Reading and Juan Mata are the other starters for the Red Devils. Meanwhile, Michael Dawson, who was forced off the field with a shoulder injury in Saturday’s FA Cup win against Swansea misses out, so too has Jake Livermore. Harry Maguire and 17-year-old Josh Tymon come into the first starting lineup named by new manager Marco Silva. Martial, Jesse Lingard, Carrick, Blind, Timothy Fosu-Mensah and Fellaini are all on the bench for Mourinho.